Hendrix Genetics has been awarded a multi-year grant by the Bill & Melinda Gates Foundation to improve poultry production in Africa. Under the grant, Hendrix Genetics will co-invest significant resources to set up a breeding program to develop breeds tailored for Africa and secure supply of improved poultry parent stock to African smallholder farmers. 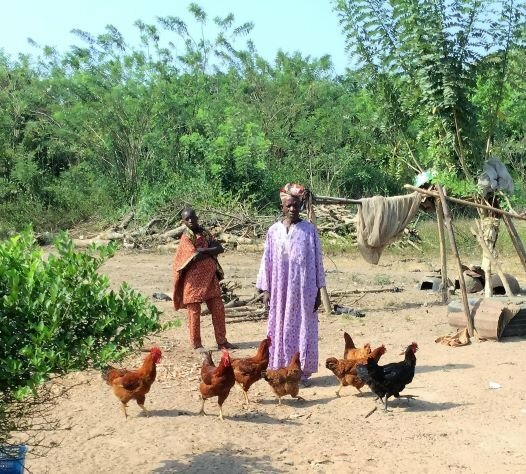 The project, entitled Sustainable Access to Poultry Parental Stock to Africa (SAPPSA), will work with African smallholder farmers to develop a tailored breeding program that will provide access to improved dual-purpose breeds that perform well under different African conditions. Dual purpose breeds are key for smallholder farmers to create a consistent revenue source with production of both eggs and chicken meat that provides nutritious protein to the growing African population. This project will give a huge boost in realizing our foundation’s mission of poultry as a solution for hunger as it empowers farmers to build a better life with better breeds to secure their income. The project will be led by Hendrix Genetics’ Project Manager Dr. Naomi Duijvesteijn. She will work closely together with other ongoing initiatives, like the World Poultry Foundation and the International Livestock Research Institute (ILRI), focused on improving rural poultry production in African countries to fight poverty. Animal genetics has already played a key role in improving the sustainability of animal production in different parts of the world and will continue to do so in the future. With the combination of Hendrix Genetics’ solid sustainability program and investments such as the SAPPSA project, the future looks bright for agriculture and food production in Africa.